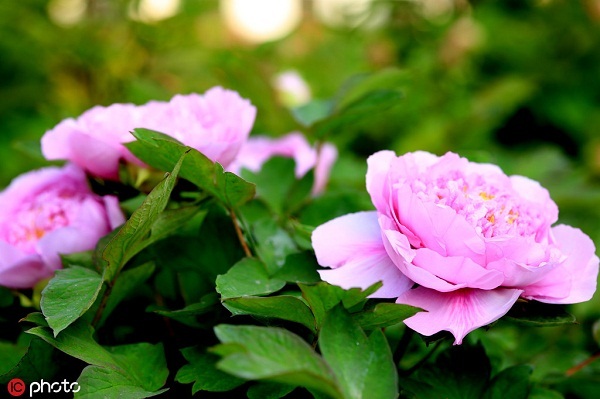 The fifth Langshan Peony Festival kicked off at Langshan National Forest Park in Nantong, East China’s Jiangsu province on April 6, and organizers said the event will run until May 1. Enthusiasts can take in more than 30,000 peony plants, in more than 100 varieties, covering the exhibition area of 2,000 square meters. Visitors can also enjoy a number of cultural events taking place at the venue. The activities include temple fairs, tai chi performances, traditional Chinese costume shows and a blind date party – which organizers say will bring more entertainment to visitors. The festival, which has been held for its fifth consecutive year since 2015, attracts nearly 200,000 tourists annually.